This is another guest article by Diane Cook from 2011. It is slightly revised with Diane’s permission. 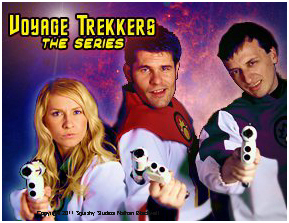 At the end of July (2011), David once again asked if I would like to help him on another one of Nathan Blackwell’s web series, Voyage Trekkers. The premise for this show is not a parody of Star Trek, but homage to all sci-fi. The twist being, “With all the starships in the galaxy, somebody’s gotta be the worst”…or as the tagline goes, “These are the voyages that don’t make the captain’s log”. Blackwell gave us the footage for episode nine, “Fabulous Technology”, filmed entirely with green screen background. David chose to do physical models for these shots instead of digital. I was in charge of making the models, while David was responsible for prop designs and post-production effects. 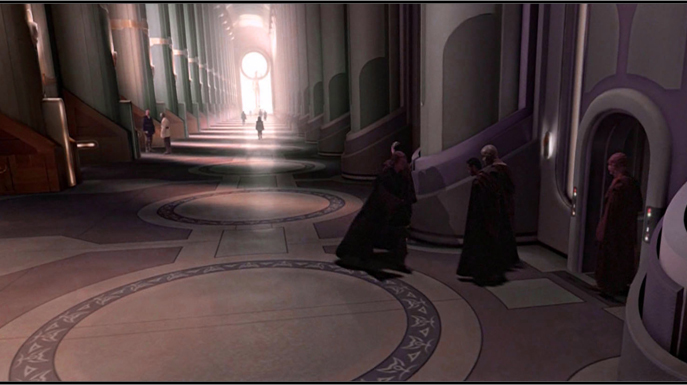 Our assignment was to create a columned great hall similar to one in Star Wars (c).